Mike Halsey was first awarded as a Microsoft MVP (Most Valuable Professional) in the Windows category in 2011. He currently holds dual awards in the “Windows and Devices for IT” (he has been awarded eight times) and “Windows Insider” (he has been awarded three times) categories. 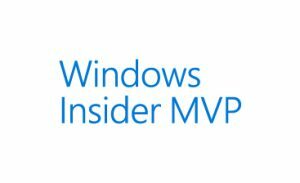 You can find Mike’s MVP profile at the Microsoft website MVP and Windows Insider MVP, and read more about the Microsoft MVP Award Programmes at these links, MVP Programme, Windows Insider MVP.